See more objects with the tag matchsafe, smoking, flirtation, pleasure. This is a Matchsafe. It was manufactured by William Neale & Sons. It is dated 1891–92 and we acquired it in 1978. 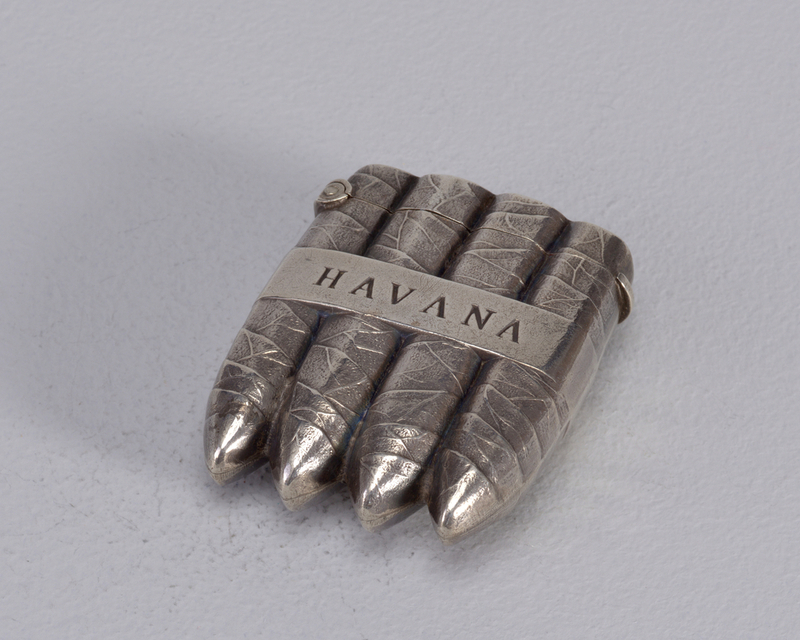 Its medium is cast and engraved silver. It is a part of the Product Design and Decorative Arts department. W.N, anchor, date letter "r", lion passant all stamped on bezel. B stamped on reverse bezel. Lion passant, date letter "r" stamped on underside of lid.